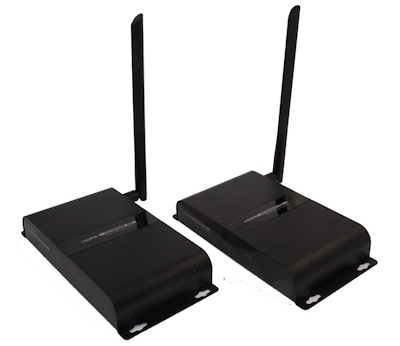 This leading edge transmitter / receiver unit extends HDMI signal wirelessly from source device to display device up to 600ft using advanced HDbitT transport protocol and wireless technology. There have been many attempts over the past few years at making an HDMI wireless product, but NONE work like this product! Perfect 1080P signal with NO interference, or those dreaded "sparkles" that have plagued other technologies. 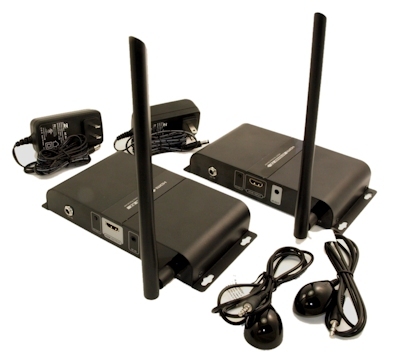 No cables are required between the sender (TX) and receiver (RX) units, making the installation simple and clean. Actual maximum transmitting lengths may vary depending on environment (ie between walls, UHF interference from other devices, etc). Through multiple residential walls, expect a maximum distance of ~200ft to be achieved. Order an additional receiver (Part LK-V388A-RX) to add up to ONE additional receiving TV. 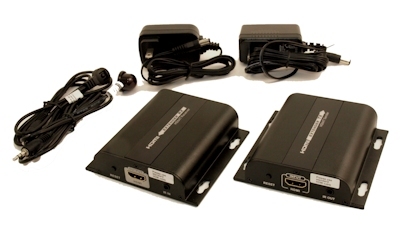 A MAXIMUM of 2 receivers per transmitter can be used (sold separately).